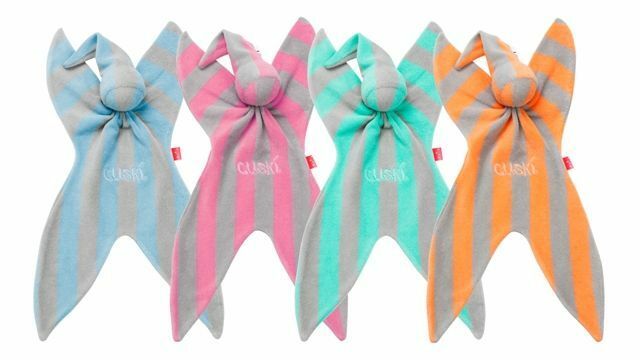 Introducing Cuski, the super-soft baby comforter designed to soothe, calm and reassure you and your baby. 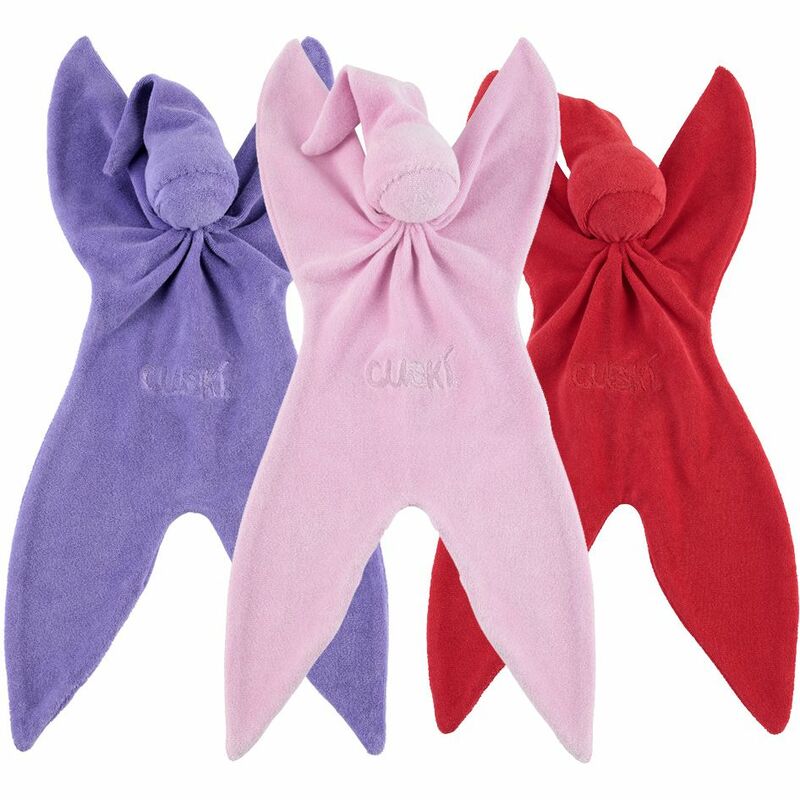 Cuski is the natural alternative for parents who do not want their baby to use dummies or other sleeping aids. 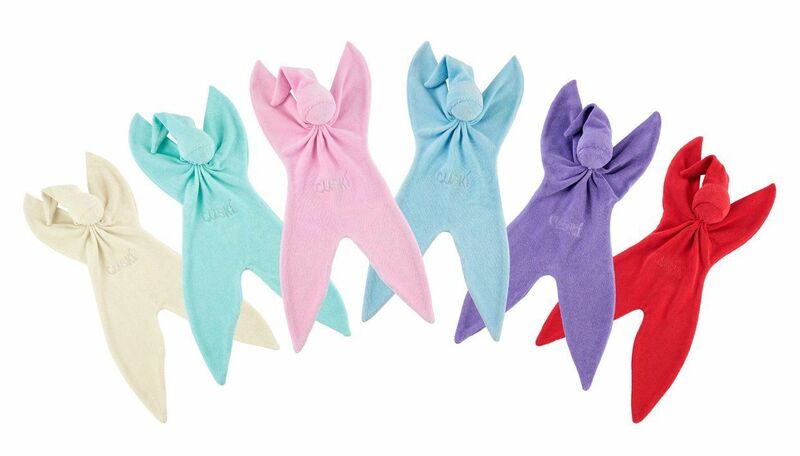 Some research has shown that babies with comforters are much happier and more secure as they progress through certain milestones in their lives. Babies at about nine months old can in some cases become very clingy to a parent as they realise they are individuals and not part of their mothers. A comforter seems to help with this transition. Fabric: Soft cotton terry for the standard Cuski.